Become a sought after developer today! 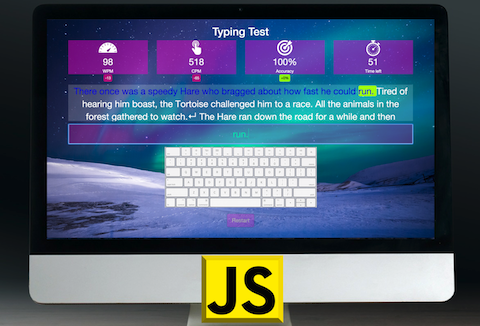 After the completion of this course you'll be able to build a fully functional Typing Test App which will make you proud of yourself. Friendly Direct Support from the instructor as well as the active community in the Q&A area. Illustrative Graphics used to explain advanced topics (as if you were 5 🙂 ). All source code used in the videos. Code as you Go when building the Mega Professional Project so that you never get lost. We developed this new concept based on students feedback. A step by step methodology where we teach you the logic of things and how to think before diving into writing code. This is what today's employers and clients are looking for and value the most! Upon purchase, you will receive a 100% off special link to access course. Once purchased, you get lifetime access.